Face masks are an essential part of every beauty routine. Doing a face mask at least once a week is a great way to reset and recharge your skin. There are so many things working against your skin like air pollution, UV A/B rays, and make up build up. Finding a great face mask that unclogs your pores can help prevent blackheads and acne so you can enjoy smoother, younger-looking skin. 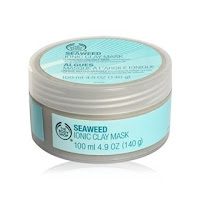 Seaweed Ionic Clay Mask $23 at The Body Shop This product is great for detoxifying and deep cleansing your skin with a weekly masks that uses natural ionic clay action to draw out impurities and control excess oil. Body Shop has a deal where you can buy 3 and get 2 free or buy 2 get 1 50% off so try out different formulas and see which one works for you. 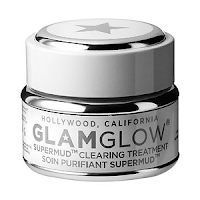 GlamGlow ranges from $24-$79 available at Sephora This formula was clinically developed by to help fight all common skin concerns including breakouts, discoloration, black and white heads, razor bumps, and in-grown hair. Powerful, skin-clearing mud visibly draws out dirt and congestion while a proprietary six-acid blend dramatically brightens and softens skin. It works to magnetically draw out dirt and pores with Activated-X Charcoal, leaving skin smooth and healthy-looking. 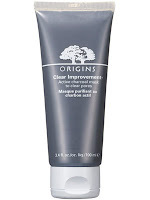 Origins Clear Improvement Active Charcoal Mask $5- $31 available at Sephora A mask with activated charcoal to draw out deep-dwelling pore-cloggers. When environmental toxins, dirt, and debris get under your skin, its waste-filtering system gets jammed, pores get clogged, and skin looks cloudy. Nature's complexion clean-up crew gets to the bottom of skin's overcast condition and clears the way for it to act its best. Activated charcoal acts like a magnet to draw out deep-dwelling pore-cloggers. White China clay absorbs environmental toxins, and lecithin dissolves impurities. Without all that stuff down there, skin breathes a sigh of relief. Best for all skin types. 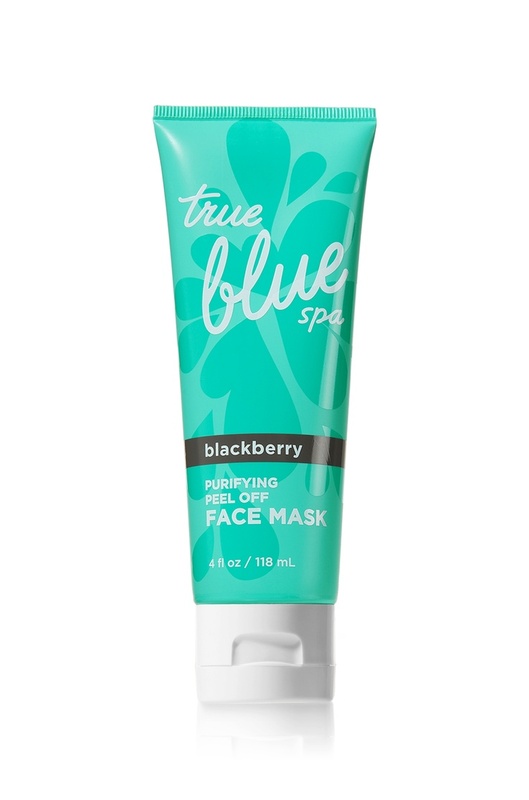 True Blue Blueberry Face Mask $11 was available at Bath & Body Works I just found out to my deep dismay that Bath & Body Works no longer sells this face mask. The last one I bought lasted so long I didn't know they stopped selling it. This face mask is my absolute favourite and since I found out it is no longer for sale I have been searching for an alternative. I found two and thankfully I did because the first option I found was very expensive Bosica Lumizing Black Mask $42 at Sephora. This really upset me since the True Blue face mask was only $11 and worked amazingly well. I found an alternative that is in a better price point Life Brand Charcoal Peel Off Mask $6.99 for 150 ml. Some people swear by the Boscia face mask so if you want to try it out but don't necessarily want to spend the $42 go to Sephora and ask for a sample and try it out. Sephora is great about giving samples for products you really want to try. My last face mask is a DIY at home face mask that is actually a family recipe. I am of East Indian heritage so my mom passed down this face mask recipe that her mom gave to her. A lot of East Indians use this on their faces and there are many variations this is just the one of them. What you will need: Chick Pea Flour, Tumeric, Water and Egg (optional). Step 2: If you are using egg; crack one egg into the chick pea flour and mix if the consistency is a paste then do not add water. If you find the mixture too moist then add a little more flour. The mixture needs to be thick in order to stick to your face and dry. Step 4: Once your mask is ready apply it to the face and wait for it to dry. It dries very hard and you can't move your face. If it hurts when you move your face muscles don't worry this is normal. I guess East Indians love torture, if it doesn't hurt it's not working right? Step 5: Once it is completely dry and harden take a wash cloth and run it under hot water and then place it on your face let it sit there and just push it onto your face to loosen the mask. The hardest part is getting that mask off so continue to run the wash cloth under hot water and place it on the your face. Once you feel the mask loosen a little you can then use hot water to remove the mask using a circular motion. This will take awhile as the mask is thick and very hard but once you have completely washed all of it off you will be pleasantly surprised by how baby soft and smooth your skin feels. What masks are part of your beauty routine? Any we should try?